FABULOUS FIND! CUSTOM BUILT CRAFTSMAN quality soft Colorado Contemporary situated on a BEAUTIFUL TREED walkout Lot!Many wonderful improvements have been made by 2nd owner!Seller provided 1 yr Supreme 2-10 warranty!Pre-Inspected & many repairs have been made! Selling "as is" condition!Unique one of a Kind home waiting new owners to love! Wonderful spa/hot tub room under garage(floating floor)!Newer carpet, lighting, windows, wood flooring,deck & more! Walking distance to Antioch Park!Don't miss the rare opportunity! 66th terrace West off Antioch to Burnham/65th Drive to home. Merriam is located in Kansas. Merriam, Kansas 66202 has a population of 9,491. The median household income in Merriam, Kansas 66202 is $51,080. The median household income for the surrounding county is $75,017 compared to the national median of $53,482. The median age of people living in Merriam 66202 is 34 years. 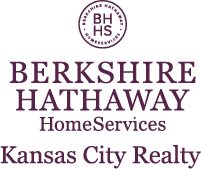 I am interested in 9010 W 65th Drive, Merriam, KS 66202.